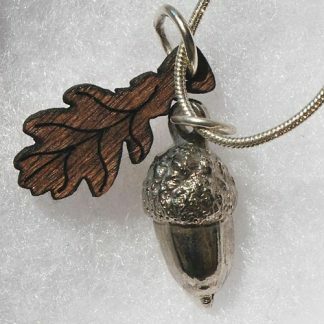 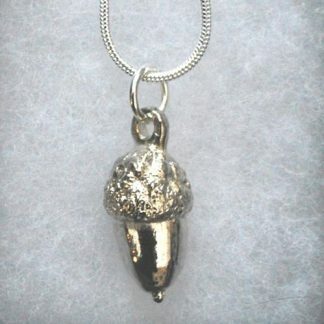 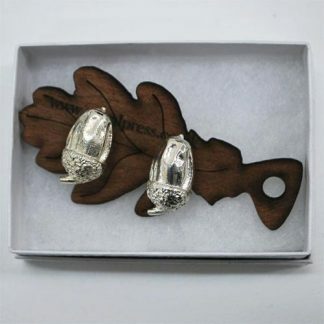 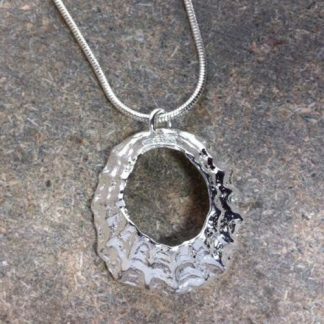 Tiny Acorns cast in pewter and silver-plated with tiny wooden oak leaves. 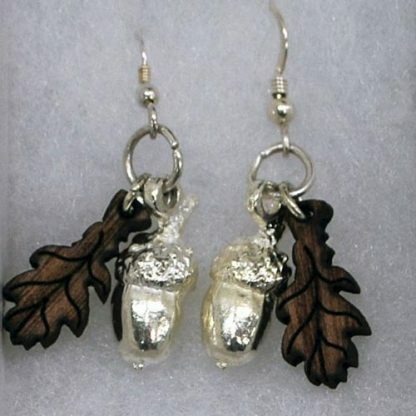 Acorns – 1cm x 0.5cm. 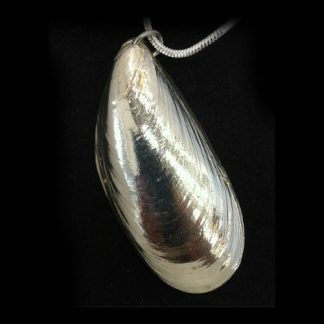 Supplied on sterling sliver earwires.